If you’re considering a career as a paralegal, there are many legal fields that you could choose to specialize in. However, one of the most important disciplines that exists is family law. While working as a family law paralegal, you will be responsible for negotiating often contentious childhood custody agreements and supporting attorneys during cases that make it all the way to family court. Before you begin a career as a family law paralegal, it’s important that you learn about some of the top duties of this profession and how you can gain the skills necessary for long-term success. When you work as a family law paralegal, there are several vital tasks that you will be responsible for. Most importantly, paralegals will often serve as the point of contact for a law firm’s clients. This means you will be talking with clients about the facts of their family law case, which can often involve severe, negative emotions due to the stressful nature of issues like asset division, child support, child custody and court order violations. Family law paralegals can also be in charge of such crucial issues as discovery and investigation, which involves researching assets, filing briefs with the court and scheduling hearing dates. You will also need to consistently update your client on the progress of their case and be ready for any changes. Owing to the sensitive nature of family law, many law firms and lawyers that deal in this legal area prefer paralegals that have received a paralegal education. The most common forms of paralegal education are either a certificate or an associate’s or bachelor’s degree. Although paralegal certificates are complete much more quickly than degrees, they may make you a less desirable candidate than paralegals who possess more advanced education. Additionally, many leading law firms prioritize paralegal applicants who have some degree of work experience, especially for specialized fields like family law. If you’re interested in becoming a family law paralegal, you should consider enrolling in an American Bar Association (ABA) approved program that offers an internship component. This will allow you to gain professional experience through the course of your degree. The salaries for a paralegal can be wide ranging, particularly in relation to the area of the country that you are employed and the paralegal field where you are working. However, the Bureau of Labor Statistics (BLS) does provide some basic numbers that provide an outlook for this profession. The BLS releases employment reports periodically, and its most recent report was released in May of 2015. This report showed that the yearly salary for paralegals employed in 2015 averaged $48,810. Career prospects for paralegals will be strong in the near future, with positions expected to grow by 8% during the ten-year period of 2014-2024. If you’re someone who is interested in guiding families through one of the most difficult times imaginable, you should strongly consider a career as a family law paralegal. 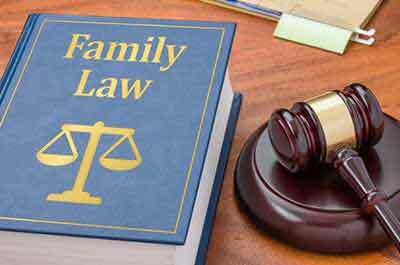 A family law paralegal will assist attorneys through important legal cases related to family issues and is a promising career choice for almost anyone attracted to the law.